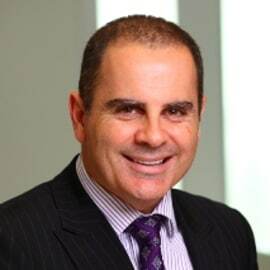 Jamie Pherous, Founder and Managing Director, founded Corporate Travel Management in 1994. He built the company from its headquarters in Brisbane to become the largest privately-owned travel management company in Australia and, in late 2010, became successfully listed on the Australian Securities Exchange (ASX). Today, the company employs more than 2000 FTE staff. Prior to establishing Corporate Travel Management, Jamie was employed by Arthur Andersen (now Ernst & Young) as a chartered accountant specialising in business services and the financial consulting division in Australia, Papua New Guinea, and the United Arab Emirates. Jamie was also a major shareholder and co-founder of an online hotel booking engine Quickbeds.com.au which was sold in 2003. His core strengths include strategic planning, growth and development, risk management and technology. In recognition of his role in overseeing Corporate Travel Management’s strong growth, Jamie has twice been a finalist in the Ernst & Young Entrepreneur of the Year award.